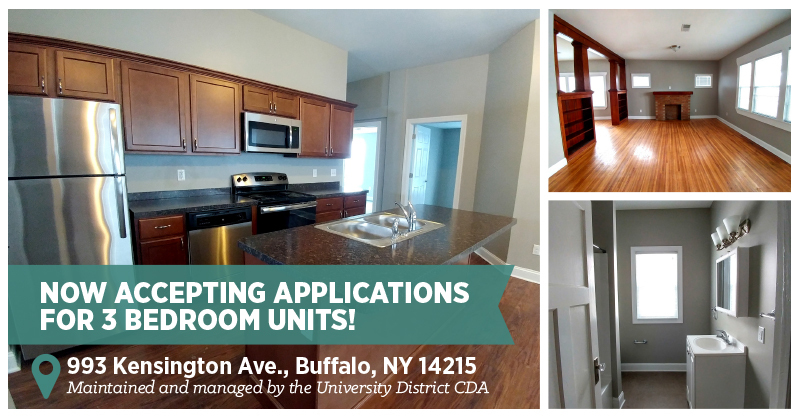 The University District Community Development Association is excited to announce that it is now accepting applications for three, 3-bedroom units located at 993 Kensington Avenue. Formerly known as Forbach’s Flower Shop the building located at the corner of Kensington Avenue and Midvale Avenue has been renovated from top to bottom through a partnership between the UDCDA and the City of Buffalo Urban Renewal Agency (BURA). The newly renovated apartment building contains three, 3-bedroom units with upgraded kitchens and bathrooms with bright and spacious living areas. Three, 3-bedroom units are now available for rent. Please fill out our rental application and return to 995 Kensington Avenue during regular business hours. Download a full PDF application or pick one up at our offices. Rent for the two lower level units is $750/month, while the upper unit is $850/month. Rent does not include utilities. 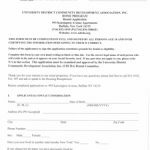 For more information visit our office at 995 Kensington Avenue, Buffalo, NY 14215 or call (716) 832-1010 x 207.